Are you dreaming of a spring beach getaway? 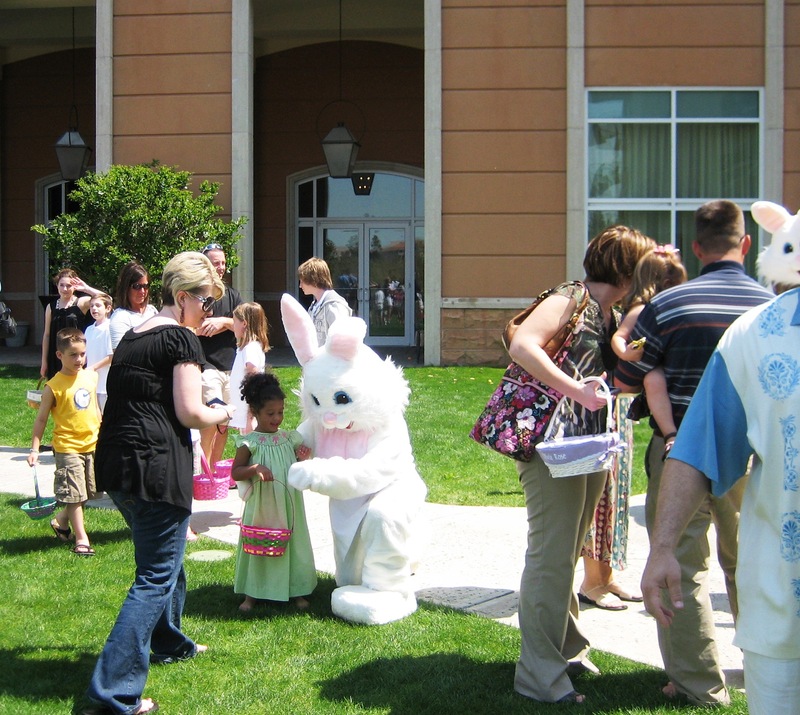 A premier luxury resort, Marina Inn at Grande Dunes is looking forward to hosting our annual Easter weekend events for families visiting Myrtle Beach. We’ll be hosting the best activities for both kids and adults and offering a full brunch on Easter Sunday. Available Easter Weekend, April 19th – April 21st, our Easter Package rates begin at $250 per night and include a fun-filled holiday getaway in sunny Myrtle Beach. Hop aboard the beach shuttle to spend the day soaking up the sun on our private beach to start off the weekend. Beach Service will be available April 19th – April 21st from 9 a.m. – 4 p.m. Live in luxury this spring in our Grande Guest Room, Studio, or Mediterranean Club Suite. We have a variety of rooms perfect for a couple or a family of up to four. Bring the whole family along and stay in our two and three bedroom suites. Each bedroom has it’s own spacious, private bathroom, large kitchen, living room space, and balcony overlooking the beautiful marina and Intracoastal Waterway. And don’t worry about the kids – we’ve got plenty of exciting activities to keep the whole family entertained! Make your spring break dreams come true and book an extended stay to enjoy all the Grand Strand area has to offer! Not to mention, more time spent at the beach! 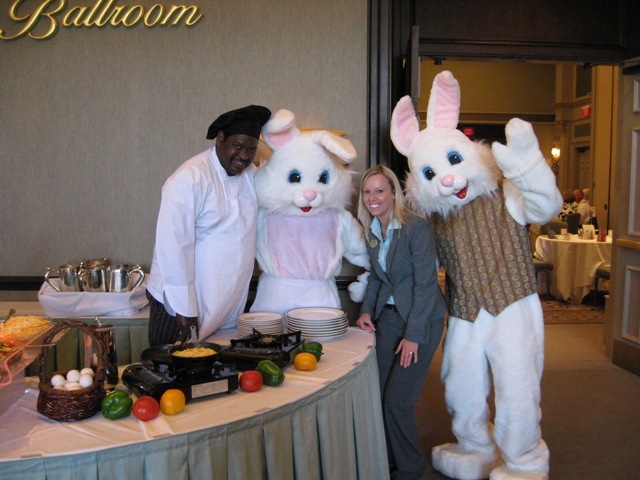 Hosted in our elegant Nautilus Ballroom, our Easter Brunch will be held on Sunday, April 21st with seatings from 11 a.m. – 2:30 p.m. We will have live music as entertainment and full bar selections will be available! Choose from a wide variety of delicious handcrafted food such as omelets, Belgian waffles, and even a smoothie station. Fresh Seafood choices include oysters, chilled shrimp cocktail, and wood smoked salmon with cream cheese, capers, red onions, chopped eggs and bagel crisp. Treat yourself to a selection of carved Herb Crusted Dijon Prime Rib or Beef and Garlic Rosemary Spring Leg of Lamb. And of course, wash everything down with a freshly squeezed mimosa! For even more fun, head down the street to Barefoot Landing and experience live animal shows at Alligator Adventure! If you feel more like relaxing check out Riptydz oceanfront restaurant downtown and the Skywheel to see incredible views of the Myrtle Beach coastline. In the spring, the Grand Strand area has mild warm temperatures, perfect for all things outdoors! Our Easter Package at the AAA four-diamond resort Marina Inn at Grande Dunes is the perfect way to kick off spring in Myrtle Beach! Book now to take advantage of our Spring Sale. Bring your team to Myrtle Beach and stay with us at Marina Inn at Grande Dunes for an ideal retreat! With va variety of meeting spaces to choose from and plenty of attractions along the Grand Strand, you’ll find everything you’re looking for here. 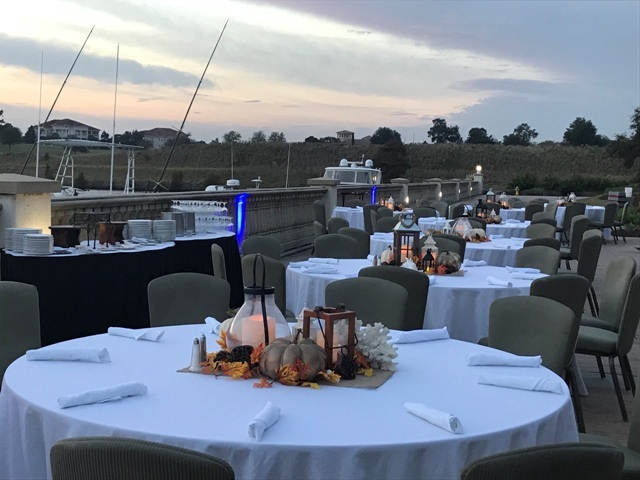 The Marina Inn at Grande Dunes offers several versatile options for your indoor or outdoor event accommodating meetings or events up to 700 guests! Below we’ve listed the various functional spaces we have on site for Myrtle Beach locals and visitors alike! 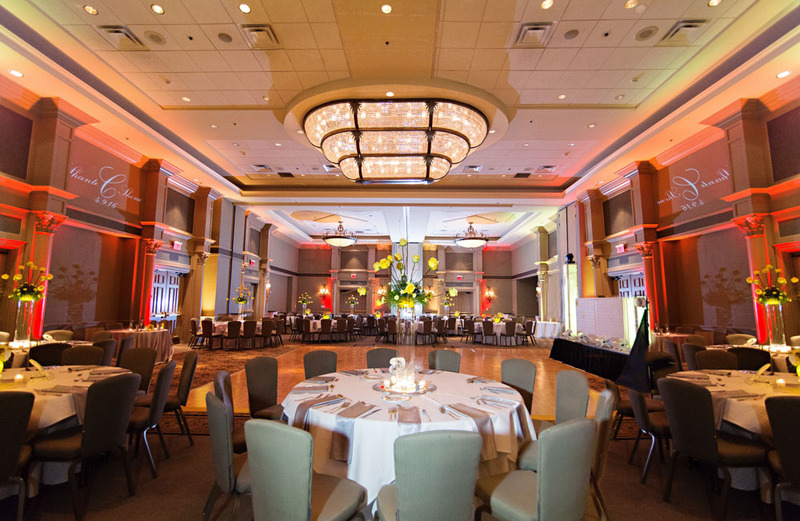 Our 5,100 square foot Nautilus Ballroom offers an elevated and luxurious atmosphere for your event! Accommodating up to 240 people for a classroom style meeting, Up to 480 people for a theater-style meeting, Up to 700 for a standing reception, Will break out into five sections to accommodate smaller events, may be paired with the Pre-Function area for larger events. Whether paired with the elegant Nautilus Ballroom or the Loggia and Grande Lawn, this versatile space is 4,700 square feet and offers several options with breathtaking views of the Grande Lawn & Golf Course. Combined with the Nautilus Ballroom, this space is large enough for events with up to 700 people. When combined with the outdoor Loggia/Grande Lawn, this space will accommodate for a reception of up to 700 people. On its own, the Pre-Function space is large enough for a meal event for up to 170 people. This space will also accommodate up to 27 exhibit tables. This outdoor, but completely covered venue may be paired with an event in the spacious Pre-Function area or the outdoor Grande Lawn for casual or elegant events. On its own, the Loggia will accommodate up to 60 people for a reception and up to 50 people for a seated meal event. Offering 10,150 square feet of flexible outdoor space with charming, all natural views of the waterway and the golf course, this space is ideal for special celebrations in Myrtle Beach! The Grande Lawn can be combined with the Loggia to add a partially covered space, which is perfect for any event ranging from cookouts to oyster roasts. This space may also be tented and becomes a proper space for elegant wedding ceremonies or receptions of up to 400 people. Truly private and unique, the Sand Dollar Boardroom is 600 square feet and offers a distinct environment with relaxing views. 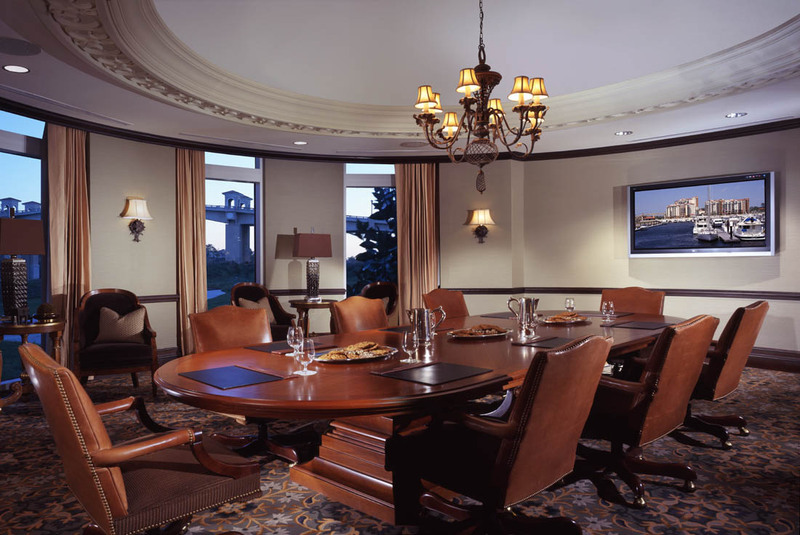 The Sand Dollar Boardroom is a perfect fit for intimate meetings of up to 12 people. Perfect for a breakout or small meeting, the Coral Room is 600 square feet and offers outstanding views of the golf course! The Coral Room can accommodate up to 50 people theatre style, up to 36 people in a banquet setting, and reception style for up to 65. This space is an additional option for a breakout or small meeting with 500 square feet and relaxing views of the Grande Lawn & golf course. The Triton Room will accommodate up to 45 people theatre style, up to 30 in a banquet, and 50 people reception style. Located off of our signature restaurant Waterscapes, this intimate room is a relaxing alternative from the formal meeting spaces. For a relaxing combination of indoor/outdoor space, utilize the attached patio! The Private Dining Room will accommodate receptions and meal events of up to 30 people. An additional option for a breakout or small meeting that is 250 square feet with relaxing views of the Grande Lawn & golf course. The Big Break Room will accommodate up to 25 members of your team. A completely outdoor space with panoramic views of the marina and golf course that is perfect for a small wedding ceremony or reception of up to 50 people. In Myrtle Beach, there are plenty of attractions nearby to keep you and your team engaged and active. From trampoline parks to escape rooms, we’ve listed some great ones in the area that can accommodate large groups. When you stay with Marina Inn at Grande Dunes, you’re only minutes away from the best restaurants in Myrtle Beach that accommodate large parties. 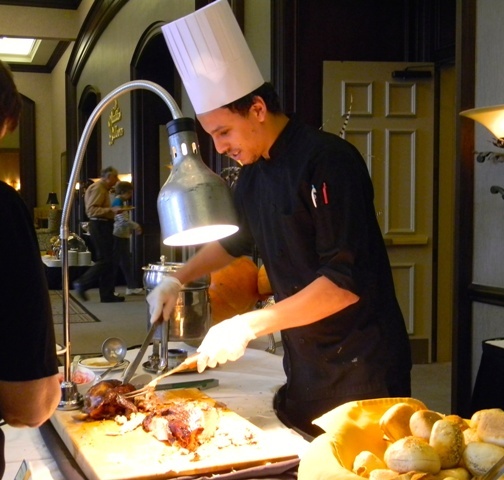 Experience southern hospitality and quality bonding time with your team members. Treat your company with the yummiest food along the Grand Strand! Next time you’re planning a special getaway for your company or team, book with Marina Inn at Grande Dunes and experience the thrills of Myrtle Beach! Mother’s Day is right around the corner! Planning out that special day for the most important woman in your life can be stressful. 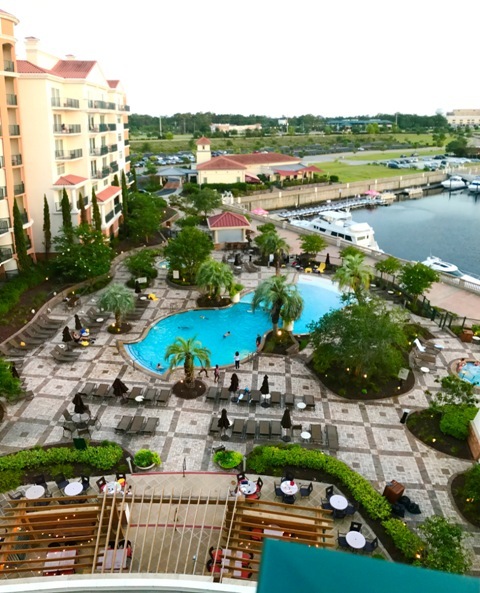 Luckily, there are so many fun and unique ways to show your appreciation in the Myrtle Beach area, especially when you stay with us here at the Marina Inn at Grande Dunes. When you stay with us from May 11th through 13th, you and your mom can take advantage of our Mother’s Day Package! We’ll take care of all the little details to make sure this is a special day she’ll remember. Included in this package is a two night stay in one of our luxurious grande guest rooms complete with a bouquet of freshly cut flowers upon arrival! Plus you can treat her to a Mother’s Day Brunch that includes two adults and two children during your stay. 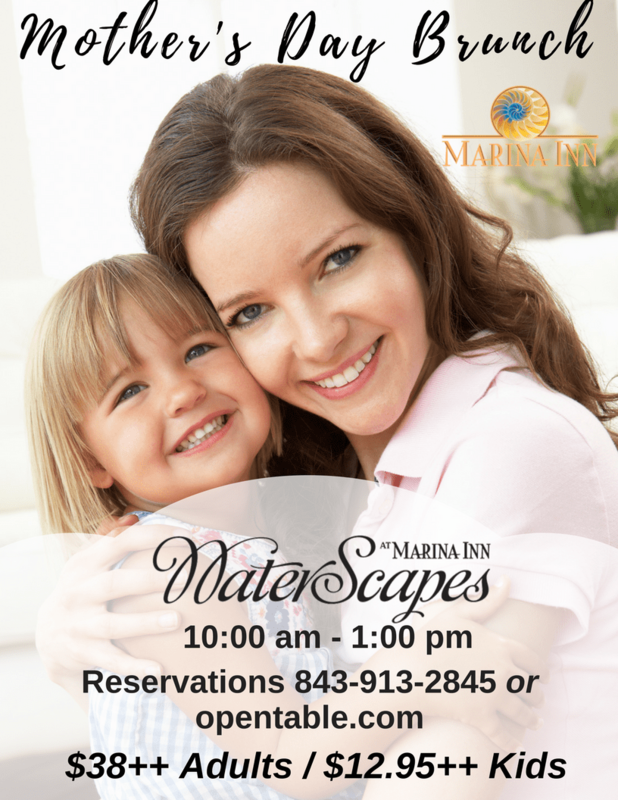 The Mother’s Day Brunch will take place on May 13th in our award winning restaurant, WaterScapes, from 10 am to 1 pm. There will be a salad and fruit display, filled with mixed greens, watermelon and feta salad, grilled vegetable pasta salad, and more. You and your mom can load up on seafood with our seafood display — which will be offering poached shrimp, oysters on the half shell, and smoked salmon. Our Mother’s Day Brunch will also feature brunch classics such as shrimp and grits, home fried potatoes, southern style eggs benedict, an omelet station, pastries, bread, and more! Everyone, including moms, love shopping! 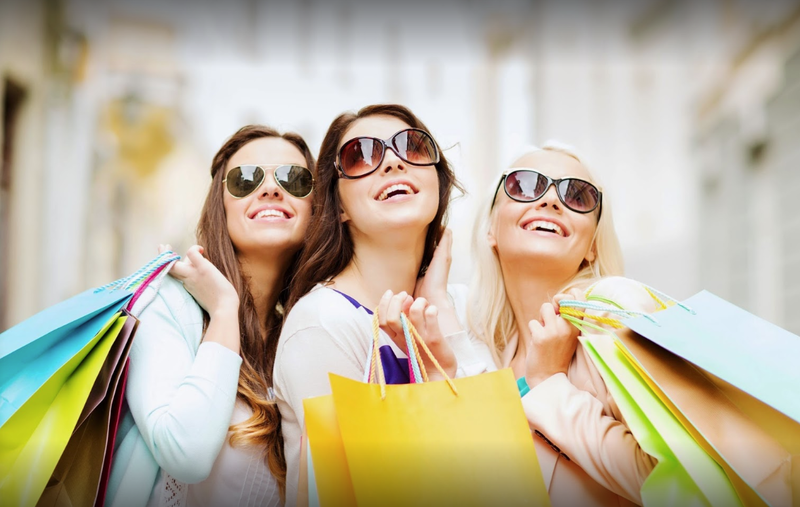 If you’re searching for a fun way to spend the day, treat your mother to a much needed shopping spree. If you’re trying to find the perfect place to go, check out the Market Common or the Hammock Shops in Pawleys Island. The Market Common has plenty of shopping, dining and entertainment for a relaxing afternoon of with your mom. Help your mom pick out a cute new outfit or accessories at Charming Charlie’s or Handpicked. Or, help her pick out a killer new pair of shoes at Centro Shoes. Stop by Pottery Barn or The Southern Home Store and find her a unique souvenir for her home. For a short day trip that’s worth the short drive, the Hammock Shops in Pawleys Island are a great way to spend your Mother’s Day shopping. Browse through rows of clapboard-style cottages, where you can find dozens of boutique stores selling items ranging from jewelry to handcrafted collectibles. If you’re looking for a unique way to spend more time with your mom that doesn’t involve shopping, try Wine & Design. At Wine and Design, you can combine your love of wine, painting, and your mom. Take part in this paint and sip activity for an evening filled with laughter and fun. You and your mom can both showcase your painting skills while you unwind together with a well-deserved glass of wine. 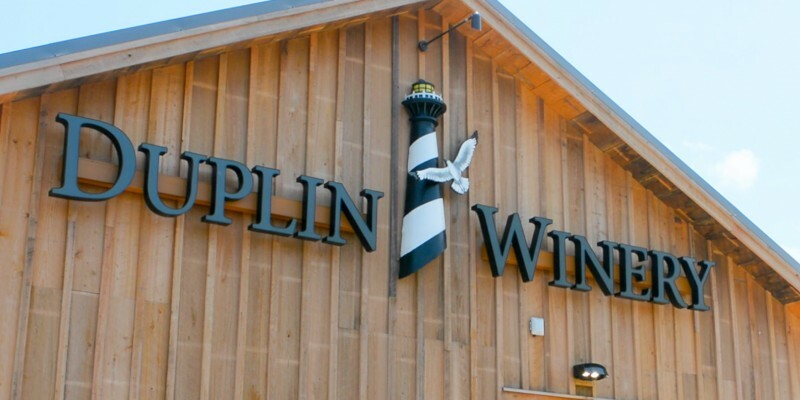 Speaking of wine, if you haven’t been to Duplin Winery before, now’s the perfect time! Treat your mom to a wine tasting this Mother’s Day. For only $10 per person, you can sample 10 different wines while munching on gourmet crackers and dip. After sampling, you can pick a favorite and enjoy a full glass while you sit outdoors and soak up the sunshine and enjoy the live music! For those of you whose mothers who just want to relax this Mother’s Day, the best gift you could give her is a massage. All her worries and stress will melt away in the comfort of her own hotel room at Marina Inn with our in-room spa services. You can schedule a deep-tissue massage, warm stone, or a therapeutic massage for you and your mom. On top of relaxing massages, make sure to schedule a facial to leave your skin feeling fresh and glowing. 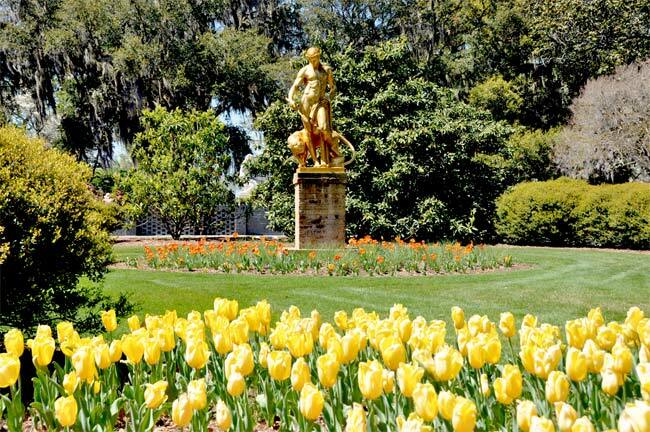 If your mom loves the outdoors, you absolutely have to stop by the Brookgreen Gardens. This crown jewel of the Myrtle Beach area is filled with natural beauty. You all can navigate through the gardens or enjoy gazing at the sculpture garden. Along with beautiful flowers and breathtaking sculptures, you can spend the day checking out the Lowcountry zoo. Make sure to book a reservation at our award winning restaurant, Waterscapes for a delicious dinner to celebrate your mom. Waterscapes offers local, fresh sustainable dining in a elegant atmosphere. 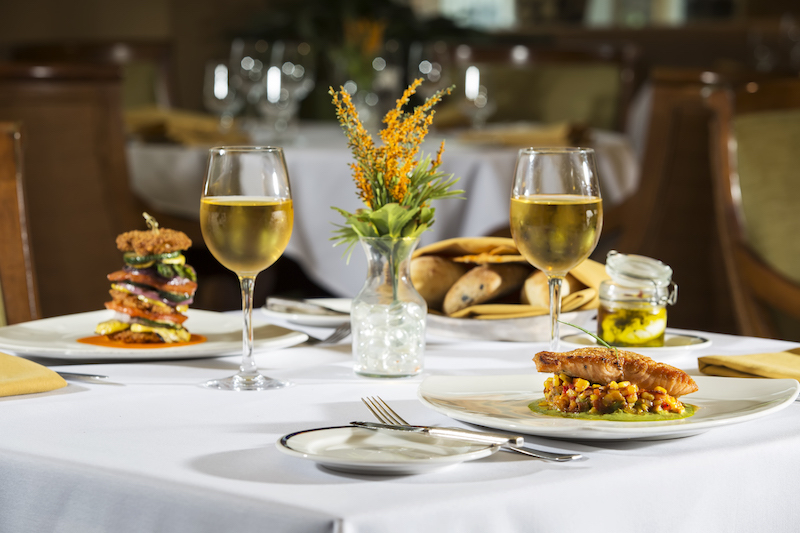 Treat her to the seared salmon, white clams and pasta, grilled filet mignon, or one of the many other mouthwatering entrees Waterscapes has to offer. When you stay with us here at Marina Inn at Grande Dunes in Myrtle Beach, we have everything you need to make your mom feel extra special this Mother’s Day! Life is full of celebrations — you have anniversaries, birthdays, family reunions, and holidays. You don’t have to pop a bottle of champagne and spend a fortune on every celebration to make it memorable. 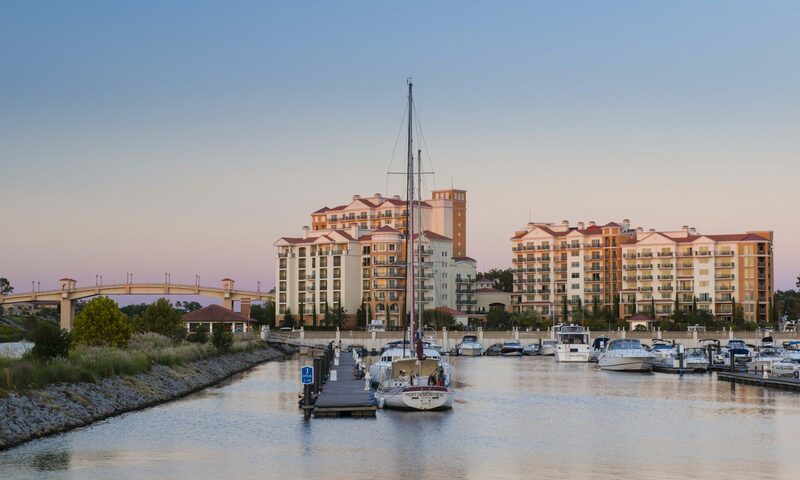 With our prime location in Myrtle Beach and seemingly endless amenities and package options, you can make every event a true celebration when you stay at Marina Inn. Show that special someone in your life just how much they mean to you on your anniversary. Go above and beyond the normal dinner and a movie date night and add a little luxury to your anniversary. When you book under our Couples Grand Devotion Package, we can help make all your romantic dreams come true. With this package, you get a two-night stay in one our luxurious rooms along with a bottle of Domaine St. Michelle sparkling wine and chocolate covered strawberries delivered to your room after arriving. Our Studio Deluxe is perfect for a couples get-away. You can cozy up in your king bed after spending a relaxing evening in the jacuzzi. You can enjoy your glass of sparkling wine on your balcony while you take in your stunning view of the waterway and golf course. Once you’ve had time to toast to your anniversary and snack on a few tasty strawberries, you can head down to our bar, Reflections, for a free drink. Follow up your pre-dinner drink with a tasty three-course meal in our award winning restaurant, Waterscapes. Stop back by Waterscapes each morning to jump start your day with a delicious breakfast. Under this package, you don’t need to worry about anything other than enjoying each other’s company. If you’re looking for the final touch to add to your anniversary, make sure to take advantage of our in-room spa services and schedule a couples massage for you and your significant other. No need to set an alarm clock — enjoy sleeping in with our Bed & Breakfast Package. No matter what you’re celebrating, make sure to kick off the festivities with the most important meal of the day. Start your day off with breakfast for two everyday during your stay. 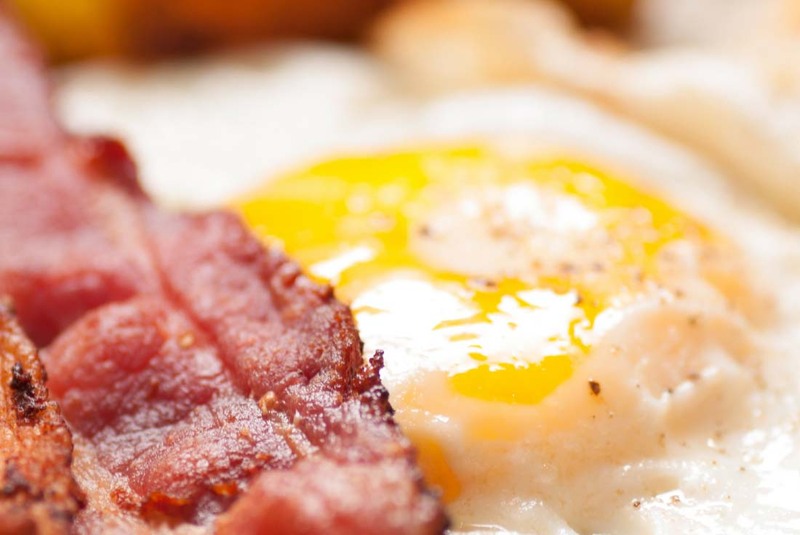 You can load up on eggs, bacons, grits, and so much more! You can also start your day off with something a little sweeter with our fluffy waffles and pancakes. If you just tied the knot and you’re looking to carry your wedding celebrations over into the honeymoon, our Honeymoon Package is perfect for you! You can indulge in each other’s company and spend some much needed quality time together as your marriage begins. Under the Grande Honeymoon Experience package, you can enjoy luxurious accommodations in the room of your choice along with additional pleasantries such as cotton robes, a terrace with a stunning view, and much more. After you check in, you can expect a bottle of Domaine St. Michelle and chocolate covered strawberries delivered to your room to toast to a lifetime of bliss! Enjoy sleeping in as we’ll deliver a hot, delicious breakfast straight to your room every morning of your stay. On top of breakfast in bed, you can enjoy a three-course meal for two in our award winning on-site restaurant, Waterscapes. On the second night of your honeymoon, you can indulge in the sweeter things in life with our Chocolate Decadence, which will be delivered to your room. On top of all the delicious food, you and your new spouse can enjoy a relaxing one hour couples hot stone massage. You can relax away all the stress from months of wedding planning and unwind in each other’s company. On top of all the treats and the massage, you will also receive a Gilchrist and Soames Gift Box, which will be filled with luxurious products to add that final touch of perfection to your honeymoon. Whether it’s your twentieth birthday or your sixtieth, it’s always worth celebrating! Marina Inn is located minutes away from some of the premier attractions in the Myrtle Beach area. 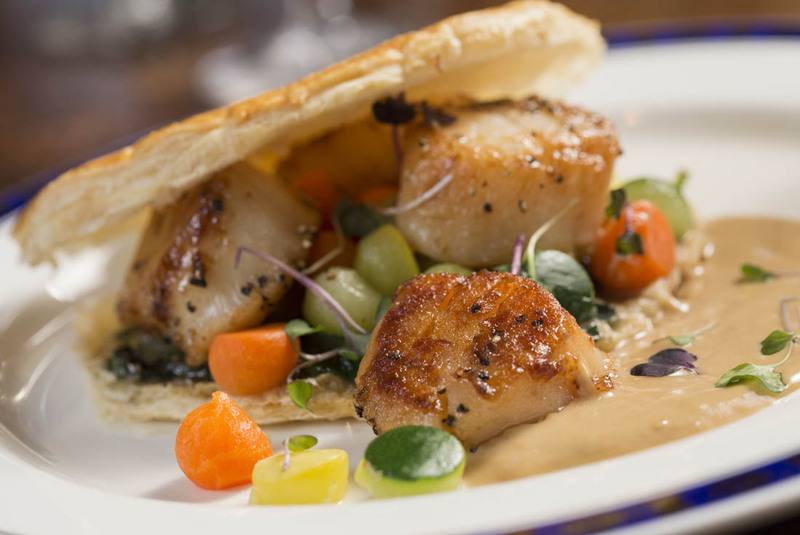 Kick off your birthday celebration with a delicious dinner at Waterscapes. Our award winning restaurant offers fresh meals packed full of flavor. After you’ve treated yourself to a mouth-watering dinner at Waterscapes, spend your special day at The Market Common or Broadway at the Beach for a day filled with great dining and tons of shopping! 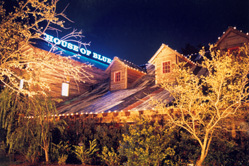 If you’re in the mood to celebrate with music, make sure to head out to the House of Blues. This farmhouse styled music hall is home to some of the best concerts in the area. If you’re looking to grab a quick bite before your concert, make sure to check out their restaurant which also features live entertainment. You can jam-pack a full day of birthday fun at Broadway at the Beach! You can treat yourself to a much needed shopping trip or grab a bite to eat with your friends and family at one of the many tasty restaurants. On top of dining and shopping, there are plenty of attractions to help you keep the party going. 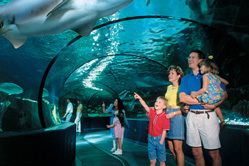 You and the family can head over to WonderWorks, Ripley’s Aquarium, Soar and Explore Zipline, and so much more! Getting your whole family together at the same time is definitely worth celebrating. Wrap your vacation and family reunion into one when you stay with us here at the Marina Inn. No matter how big or small your family is, you’ll feel right at home in our luxurious accommodations. For the larger crowds, you will love our Penthouse Suite. Each of the four bedrooms in this suite is completely unique and they all feature their own private bathrooms. The king master bedroom features a cozy fireplace to unwind in front of while the second bedroom features a relaxing jacuzzi tub. The spacious living room is perfect for family fun — you can all relax together with a family game night or movie night. On top of luxurious bedrooms, the penthouse comes with a full kitchen. If you want to take a break from dining out and you want to impress your family with your cooking skills, you can whip up your own dinner in your penthouse. You and the entire family can soak up the sunshine and spend a day out on the water at Myrtle Beach WaterSports. Located right next to the Marina Inn, a day of fun is only a short walk away! You and the family can rent jet skis and pontoon boats for a fun and sun filled day together. On top of being able to rent jet skis and pontoon boats, you can enjoy guided dolphin tours and adventure tours. 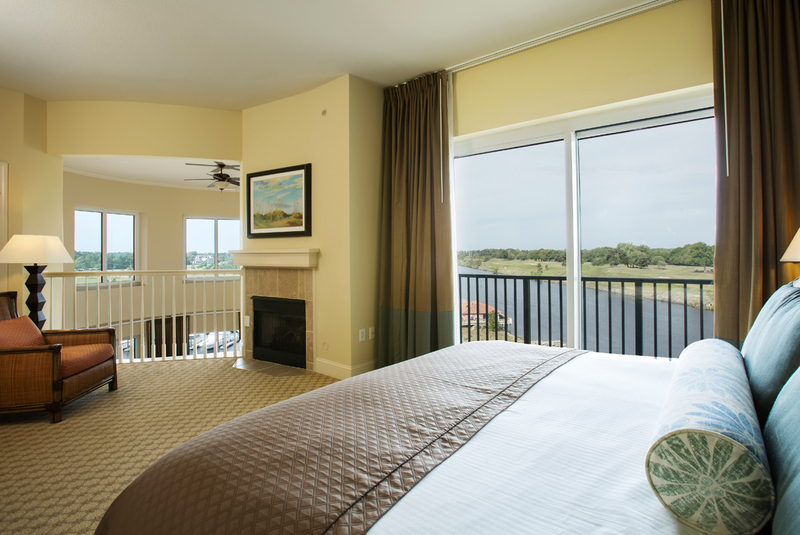 Located on the Marina Inn property is the Grande Dunes Resort Course. We hope you brought your clubs along with you! Shoot for par with your family as you work your way through this beautiful course. 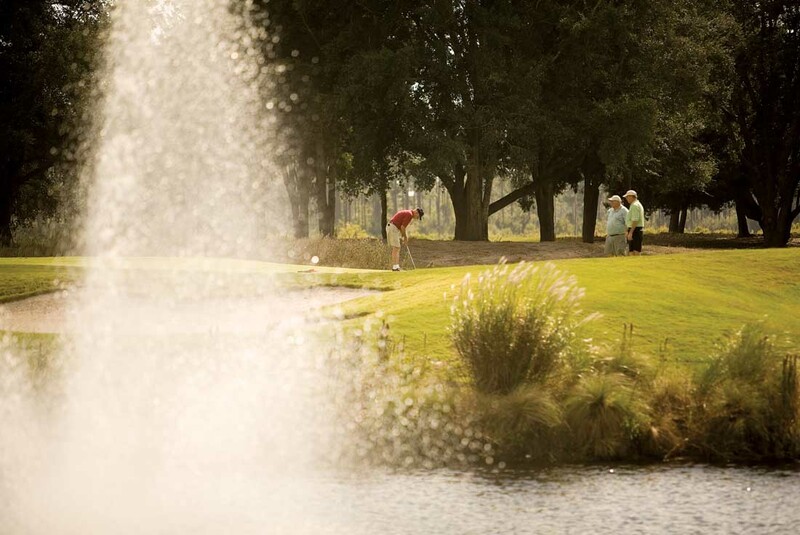 The view of absolutely stunning as you work your way from the first to the last hole — seven of the holes play right along the Intracoastal Waterway. Book a tee-time and get in some much needed family bonding with a relaxing round of golf! 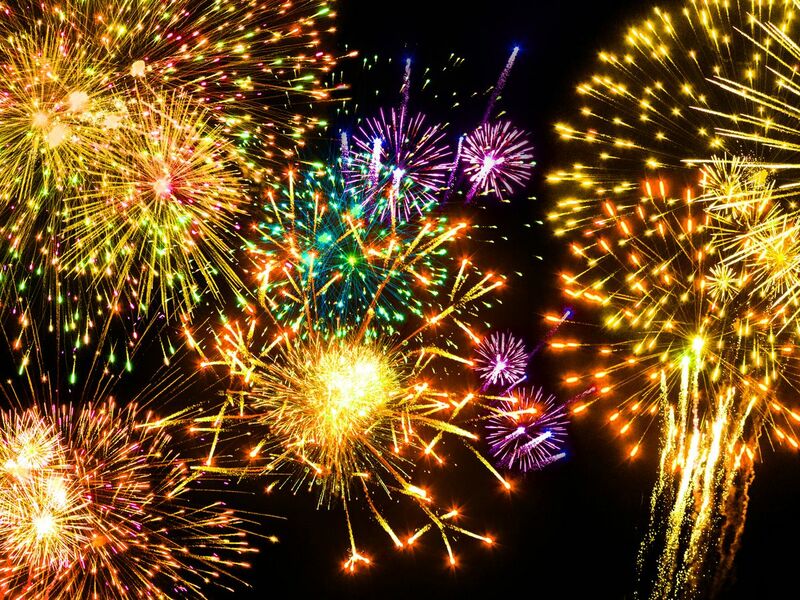 Nothing says celebration quite like a holiday! Make your holidays one to remember when you stay with us. We offer packages to help you make your holidays the best one yet. We offer packages for some of the most celebrated holidays such as Easter Break, Valentine’s Day, Thanksgiving, New Years Eve, July 4th, Mothers Day and more! On top of offering great holiday packages, you can dine at Waterscapes for a special holiday menu. Every occasion is worth celebrating. 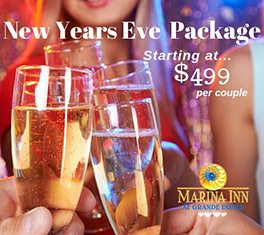 And here at Marina Inn, with the help of our luxurious accommodations, premier locations, packages, and more, we can help make this celebration the best one yet. The warm weather has brought us more than just sunshine and beach days. The return of spring has also brought the return of spring festivals to Myrtle Beach! When you book your stay with Marina Inn at Grande Dunes, you’re close by all the activities and events. We hope you packed an appetite because there’s plenty of food and outdoor fun. Whether you’re searching for a food truck serving up tasty treats or need to satisfy your craving for fair food, everyone in the family is sure to be entertained in Myrtle Beach this spring! The Myrtle Beach Food Truck Festival is a three day event that’s every foodie’s dream come true! 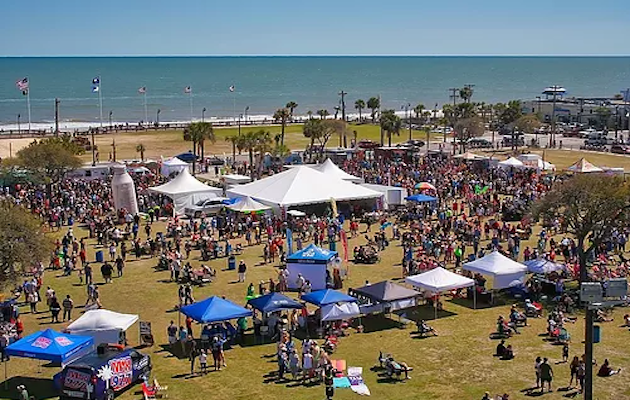 Head out to downtown Myrtle Beach from April 20th through the 22nd and follow the smells of tasty food as you head over to Oceanfront Boardwalk District between 8th and 9th Avenues North for this oceanfront festival. The event will run from 6 p.m. to 11 p.m. on Friday, 11 a.m. to 10 p.m. on Saturday, and 11 a.m. to 6 p.m. on Sunday. Not sure what truck to visit first? Don’t worry, you’ll have plenty of time to taste them all! You can expect to see vendors such as Lowcountry Lobster, Crave Cupcake Boutique, Let’s Ride BBQ, JP Italiano and so much more! There be live music, a beer garden, and plenty of entertainment for the kids. Bring the whole family since there’s sure to be something to please everyone’s taste buds. No matter what you’re craving, you’ll be able to find it during this three day celebration of delicious food! 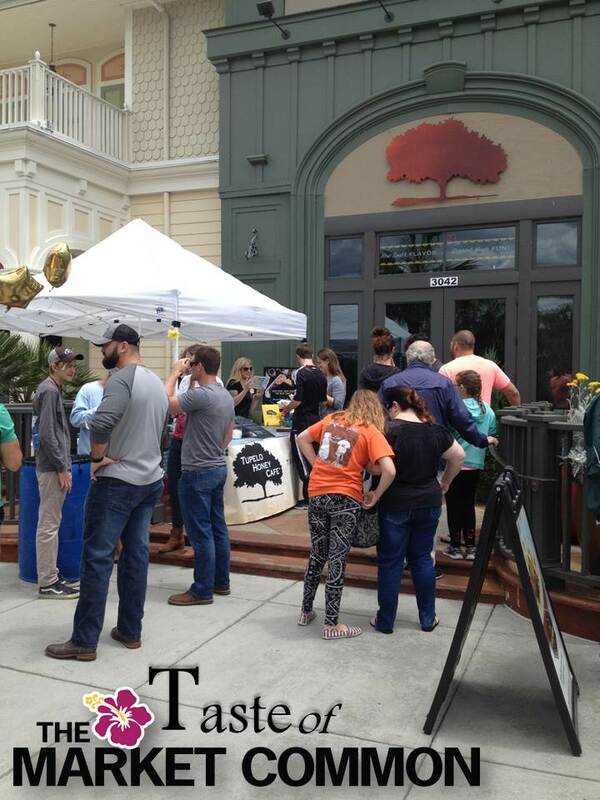 The Market Common has brought the Myrtle Beach area a decade of shopping, great food, and endless fun! As if we needed an excuse to celebrate, head out to 10th Anniversary Celebration on April 21st from 11 a.m. to 4 p.m. to commemorate the entertainment and endless shopping the Market Common has brought us these past few years. Whether you’re a local or just passing through on vacation, you definitely won’t want to miss this celebration! And there’s no need to worry about a personalized invite. If you love a good time and were waiting for another excuse to visit the Market Common, now’s your chance! Bring the family along for a day of strolling musicians, bouncy houses, face painters, balloon artists and more throughout the retail district of the Market Common. And don’t forget to grab a tasty slice of cake while you’re there to kick off the Taste of the Market Common. Not only are they celebrating ten years of the Market Common, the Taste of the Market Common is back! All the restaurants in the Market Common will be providing yummy samples of appetizers, entrees, and desserts outside their doors. So you can fill up on your favorites like Ultimate California Pizza, Gordon Biersch, and Peace, Love & Tiny Donuts. Make sure you grab a food ticket at the Grand 14 Cinema so you can load up on treats! Food tickets are $1, with dishes ranging in cost from 1-5 tickets. Nothing goes together better than funnel cake and ferris wheels! Get your fill of thrills and excitement at the Horry County Fair. You can experience 10 days of fair fun from April 20 – 29th. Admission is $5, kids under 4-years-old get in free, and those aged 65 and above or members of the military get in for $3. There’ll be food, games, fair rides, a petting zoo, and so much more! The fair will be held at the Myrtle Beach Speedway with free parking on site. Unlimited ride wristbands are only $25 so make sure to pick one up before you start exploring. For the little ones who aren’t quite ready to tackle the big rides, there will be kid rides along with character meet-and-greets to make sure your kiddies are having the time of their life. The Robinson’s Racing Pigs will be joining us this year for another year of pig racing excitement and fun. And make sure to stop by the petting zoo with the kids to pet and feed the animals! This year, celebrate Earth Day at one of the most beautiful natural areas of the south: Brookgreen Gardens. On April 21st, Brookgreen Gardens will be combining their Diggin’ It Spring Garden Festival and Plantacular Sale into one event in honor of Earth Day. 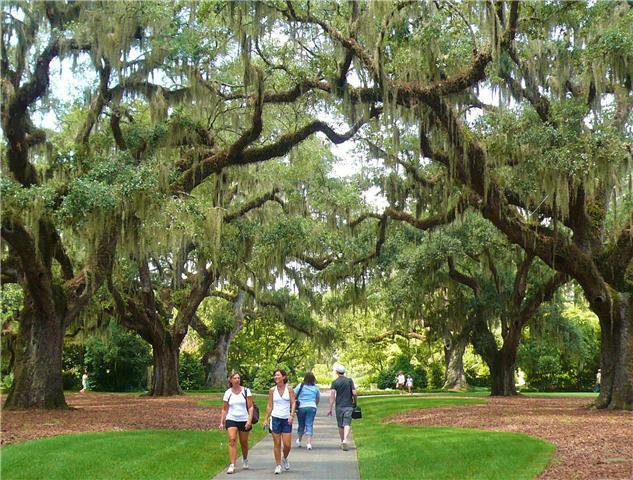 Famous for their gorgeous gardens, breathtaking sculptures, and Lowcountry Zoo – Brookgreen Gardens is the perfect place to pay tribute to mother nature in honor of Earth Day. 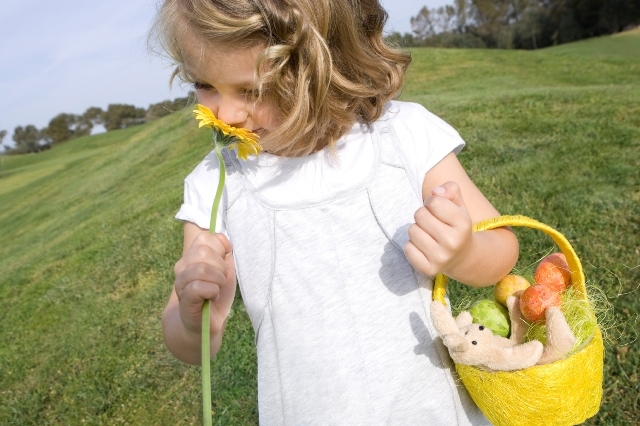 On top of of the Plantacular Sale and Garden Festival, there will be hands-on workshops that the kids will love! Workshops will include nature and conservation stations, make-and-take crafts, guided tours and even live animals! For those of you who aren’t a member, admission to enter Brookgreen Gardens is $18 for adults, $16 for seniors (aged 65 and above), $10 for children aged 4-12, and children under 4 get in free. Grab your beach chairs and head over to North Myrtle Beach for MayFest on Main! This festival will take place rain or shine and typically draws out a crowd of over 15,000 in celebration of the coming of summer. Spreading out along Main Street, you’ll be able to check out a hundred different crafters, sample tasty treats from food vendors, and let your little ones play in the kids area. There will be a community stage featuring live music all throughout the day. Starting at noon, some of the most popular local acts in the Myrtle Beach area will take the stage. This event is free to attend and is sure to be a great time for everyone! The World Famous Blue Crab Festival will kickoff on May 19th and 20th along the Little River waterfront. Having been consistently named the Best Annual Event/Festival, it’s no surprise that over 50,000 people show up every year for this event! Seafood lovers won’t be able to resist stopping by to see what’s crackin’ with all the local seafood restaurants. Guests can expect to enjoy all the most loved features of a festival: live entertainment, vendors, speciality food, arts and craft, and kids entertainment. The 37th Annual World Famous Blue Crab Festival will be a day to remember. Bring the family along for a day spent along the waterfront enjoying live beach music and tasty seafood meals or specialty treats! Admission is only $5 and the festival will run from 9 a.m. to 6 p.m. both days. 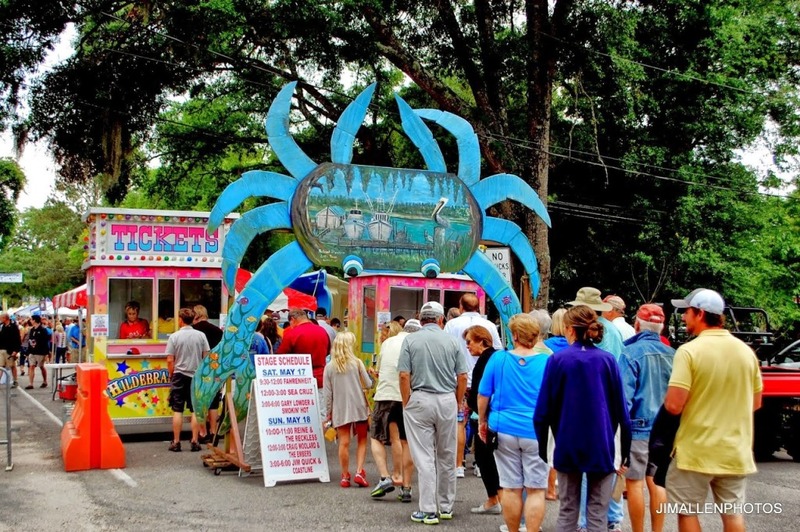 Whether seafood unanimously ranks as your #1 favorite food year after year or you’re just looking for a good time, make sure to take a trip out to Little River to experience this festival firsthand! Spring isn’t the only thing in bloom here in Myrtle Beach. You can spring into great savings when you stay with us from now until May 31st and book under our Spring Savings Special! You can enjoy up to 25% off our daily rates when you book under this special. Make sure to book soon so you can enjoy all the amazing festivals we’ve got going on in Myrtle Beach! We don’t skip out on the good times in the spring here in Myrtle Beach. Nothing combines our love of sunshine, great music, and tasty treats quite like a spring festival! If you’re looking for a place to book your next corporate meeting, look no further than Marina Inn at Grande Dunes in Myrtle Beach. With a variety of venues to choose from plus fun team building exercises, this will be the an unforgettable company meeting. You can bring the whole company along when you book our Nautilus Ballroom. Give your meetings an extra touch of elegance in this 5,100 square foot room. For a classroom style meeting, it can accommodate up to 240 and up to 480 for a theatre style meeting. If you’re looking to set up a more private and exclusive meeting, you’ll want to move over to our Sand Dollar Boardrooms, where you can host intimate meetings with up to 12 people. Find that happy medium between a large, overwhelming meeting and a small, private meeting with either our Coral or Triton Room. Perfect for breakout activities or smaller meetings, both rooms have an outstanding view. The Coral Room features an outstanding view of the golf course while the Triton Room features a stunning view of both the golf course and the Grande Lawn. The Coral Room can accommodate up to 50 people theatre style and up to 36 in a banquet setting. Up to 45 people theatre style can enjoy the Grande Lawn view in our Triton Room, and 30 can be seated in a banquet setting. You can incorporate the perfect amount of intimacy without the exclusivity in our Big Break Out Room. Able to accommodate up to 25 people, this room is perfect for breakout activities or smaller meetings. While you strategize your next move as a company, you can enjoy the view of the Grande Lawn and golf course right outside your window. If you’re team members ready to break out of the boardroom, we have a few suggestions to check out for team building exercises! You never know what next million dollar idea your team can drum up when you’re not stuck behind a desk. Nothing gets you in the creative mood quite like wine and painting. Head on over to Wine and Design for a much needed group painting session. Your team can sip wine and bond over everyone’s attempt at painting a masterpiece. You never know what kind-of great ideas will stem from letting loose creatively! Turn your team building upside down at WonderWorks in Myrtle Beach. They offer various activities and can customize whatever group adventure you’re looking to create. Whether it’s going on a scavenger hunt, splitting up into teams and competing in a fast-paced Laster-Tag in a maze, or climbing through obstacles in the three story glow-in-the-dark Indoor Ropes Course – they’ve got it all! 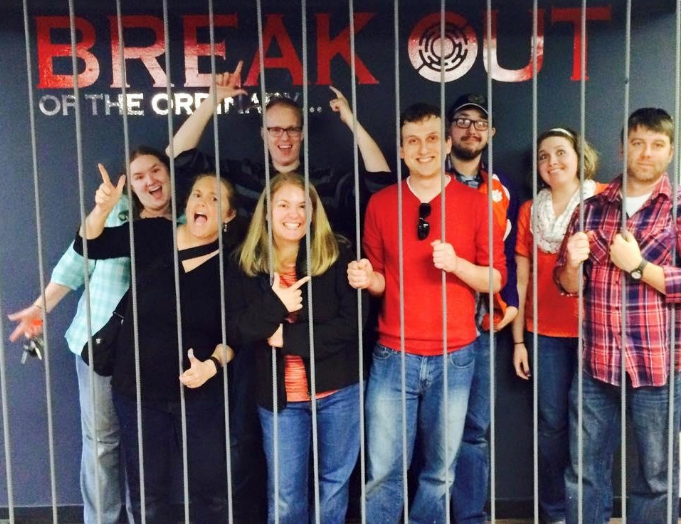 Turn your company into a quick-thinking, cohesive unit at Break Out Myrtle Beach! Create bonds and work together with your co-workers while attempt to solve clues to break out in time. Put your collective wits to the test with a series of puzzles and riddles as you work your way through one of the five rooms. Forget about the generic icebreakers and team building exercises, try to make it through CSI Myrtle Beach or the Bank Heist room to see how well your team comes together! After a day of working hard and playing even harder, treat yourself and your team to a meal at one of the many delicious restaurants in Myrtle Beach. Worried about fitting in your large party? No need to worry – there are plenty of high-quality restaurants that can handle even the largest party. Continue to bond with the team while you dine as a group with a trip to Dave and Busters! With flexible team building options, Dave and Busters has structured team building activities perfect to serve as icebreakers for larger groups or as a way to re-engage smaller groups. Hone in on your competitive spirit while you try to beat your co-workers high scores on a series of games such as Super Shot Basketball, Skeeball, and PacMan. Test your problem-solving and communication skills with a scavenger hunt or showcase your leadership skills with a three-part mission that puts all your skills to the test. After you’re done playing around, you can catch up over the dinner table with ice cold beverages and delicious burgers, sandwiches and more! If you’re searching for more of a pub environment, celebrate a great day of team building with a few drinks at Liberty Tap Room and Grill. You and your group can dine either inside or outside while you toast to your successful day. 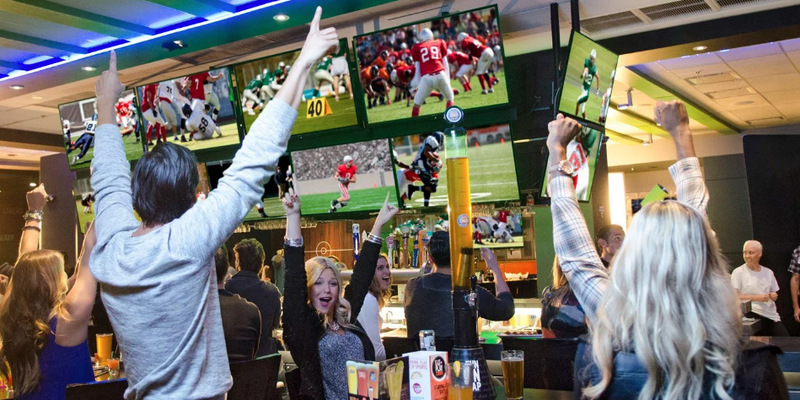 With American style food and even better drinks, your entire team will find something to fill up on. Planning your next corporate meeting and improving the cohesion of your team doesn’t have to be boring. Book your next meeting at Marina Inn!